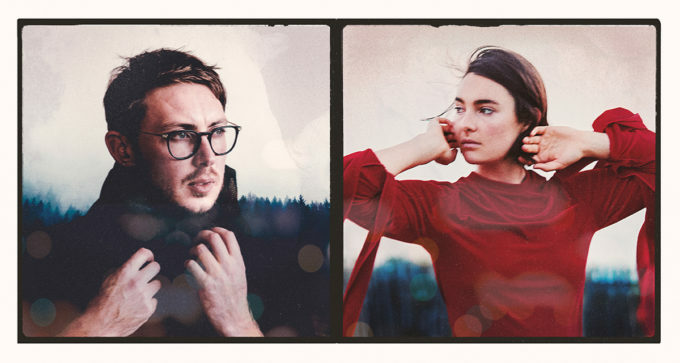 Dustin Tebbutt and Lisa Mitchell are teaming up, touring Australia together for the first time throughout June and July. The ‘Distant Call’ tour came from an idea Dustin had while playing shows throughout Europe. “Lisa and I have know each other for a few years, and we’d started looking at doing a tour together,” he explains. “I was in Amsterdam doing some shows and happened to be talking through it all with my keys player who also plays for Lisa. I think at one point we were joking that they could just stay on stage for both of our sets, and then the idea to share a band started making more sense. “It kind of grew from there. What we’re looking at now is a really collaborative show, where we share the stage, songs, and musicians; weaving our songs together. “I’ve never done anything like this. It already feels like the show is going to be something totally different,” Lisa adds! “I’ve been a fan of Dustin’s music for a long time. We seem to inhabit the edges of a similar world, both musically and in our visual worlds. The tour kicks off at the Factory Theatre in Sydney on June 10 and will make its way through the other main capitals and key regional centres through to July 01. Fan club pre-sale tickets are available now, while general public tickets hit the sales desk from 10am tomorrow, April 05.